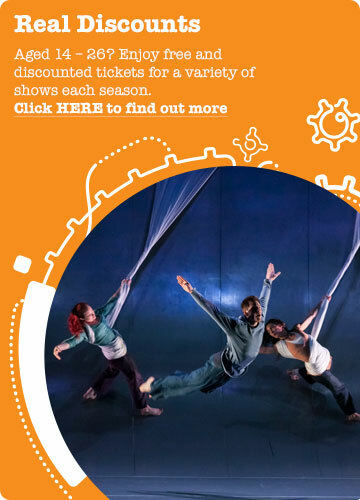 We work with schools to provide our best offers on shows, workshops and other creative experiences across the term. This includes group booking discounts, priority seat bookings and access to other opportunities. To join our education mailing list, email us your name, school and contact details. We also offer Education Partnerships, in which we work closely with a school to offer them enriching and exciting experiences for their students and our staff. 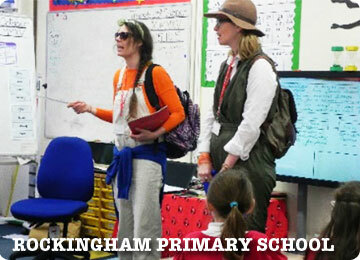 This partnership aimed to inspire children to write for a purpose, through the use of exciting performances. In a writing day that the whole school participated in, actors worked closely with the school’s English Subject Leader to plan the content and outcomes for each year group. This information was then shared with the whole school, which the teachers used to plan assessment opportunities for the children. At the beginning of each new half term the whole school was presented with an exciting experience opportunity that captured their imagination. This was used as stimulus for all children to produce a piece of creative writing through one day dedicated to this task. At the end of the day, each class voted for a ‘Rocking Writer’, each of which then shared their work in assembly and had it published in a book for the school library and each classroom. The framed writing was also displayed in the school’s entrance. To find out more about becoming and Education Partnership school call Lindsey Warnes Carroll on 01536 470473. We offer an array of opportunities for all education establishments to enrich, enhance and develop their arts and cultural offer to the young people they work with. This includes, Off-the-shelf workshops, bespoke projects and also staff CPD. You can see examples of these on our School Newsletters and in the video below. For further information please contact [email protected]. We offer opportunities around all five levels of Arts Award either alongside your work here, or in your school. As part of our projects and regular groups, we can provide opportunities for children and young people to work towards a range of Arts Awards. Please contact [email protected] for further information. Find out more about Arts Award at www.artsaward.org.uk.